Illustration Up Close: Korean edition of Double Trouble! I've recently received advance copies of the Korean edition of my book Double Trouble. This is a story of the day to day antics of twin toddlers. Originally published in English by Penguin Books Australia, this new edition has been published by Glbburi in South Korea in 2011. It is a beautiful production. 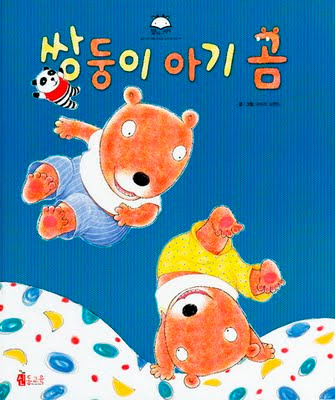 No matter what language my story is in, I'm sure twins do the same funny things all over the world.